I can’t believe someone actually produced a device specifically for this problem. This entry was posted in asides, Funny Stuff on 2011.03.25 by Gary. If you’ve never taken a programming or discrete math class, you should just move along. For the two of you that remain, here is the funniest binary tree Christmas joke I’ve ever seen. * And a bonus max-heap joke! 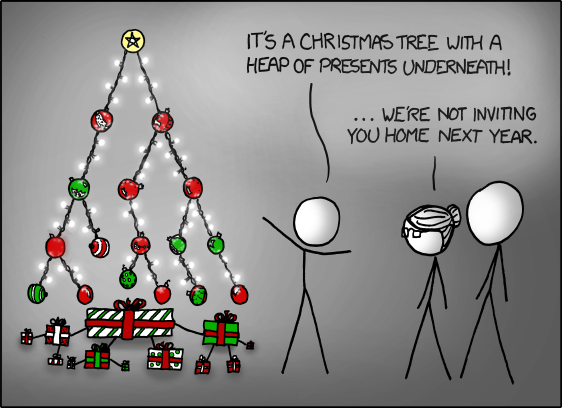 * – This is also the only binary Christmas tree joke I’ve ever seen, so your mileage may vary. This entry was posted in Funny Stuff, Geek and tagged binary, Christmas, programming on 2010.12.17 by Gary. This squirrel has to be the most determined critter ever. LET GO! This entry was posted in Funny Stuff, Video on 2010.09.08 by Gary. This entry was posted in Funny Stuff, Geek on 2010.08.24 by Gary. Wil Wheaton continues to prove that there are decent human beings that started out as child actors. An 8-year-old girl sent in her Wilpower fan club application back in the 80s, and the “6 to 8 weeks” ended up being much longer. She never got that fan club package, and the fan club folded many years ago. She’s now a professional writer and blogger, and when Wil Wheaton heard about her lack of Wilpower memorabilia, he fixed it. He found a set of fan club swag, and sent her a really funny letter. You should read it. This entry was posted in Funny Stuff, Geek on 2010.08.19 by Gary. 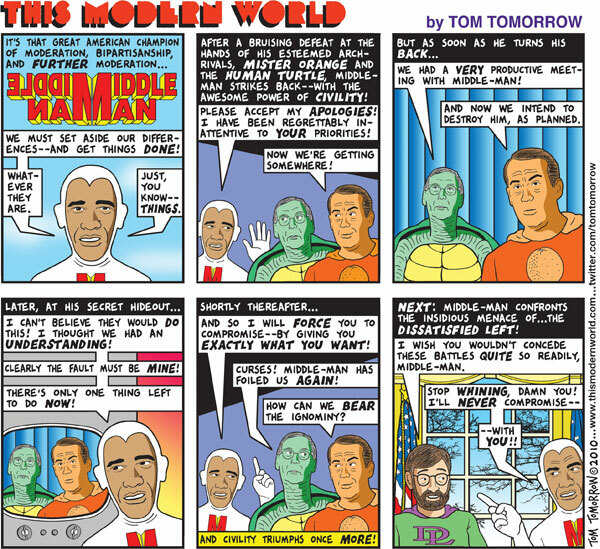 This entry was posted in Funny Stuff, Geek, Political on 2010.07.30 by Gary. I need an iPhone 4! This is an absolutely hilarious video lampooning iPhone cult members. This entry was posted in Funny Stuff, Geek on 2010.07.06 by Gary. Youtube Video for the Facebook folks, since apparently Zuckerberg strips out the video embeds. This entry was posted in Funny Stuff, Stupid People, Video on 2010.05.14 by Gary. This entry was posted in asides, Funny Stuff on 2010.05.12 by Gary. A fishing competition in Texas ended in accusations of cheating, which is probably common. What is less common is that the guy accused tried to get away with making his “winning” catch heavier by putting a one-pound lead weight in it. I can just imagine how busted he felt when the fish sank when it was dropped in a tank at the judging booth. Oops. And, since it was a contest with a $55000 boat as the prize, it’s a felony. Double oops. This entry was posted in Funny Stuff, Stupid People on 2010.05.10 by Gary.